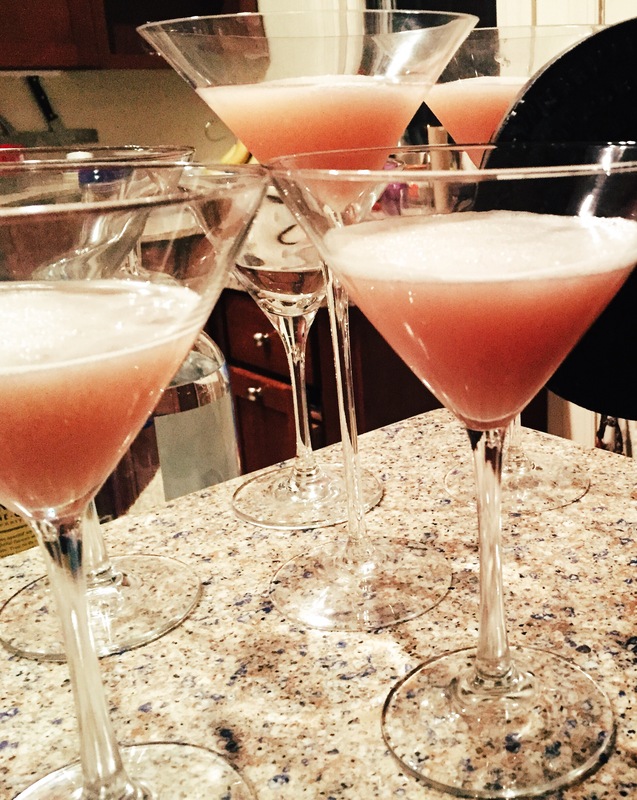 For her December birthday party, Trin decided to throw a cocktail costume party: come dressed as your favorite cocktail, and while you’re here drink a couple yourself. 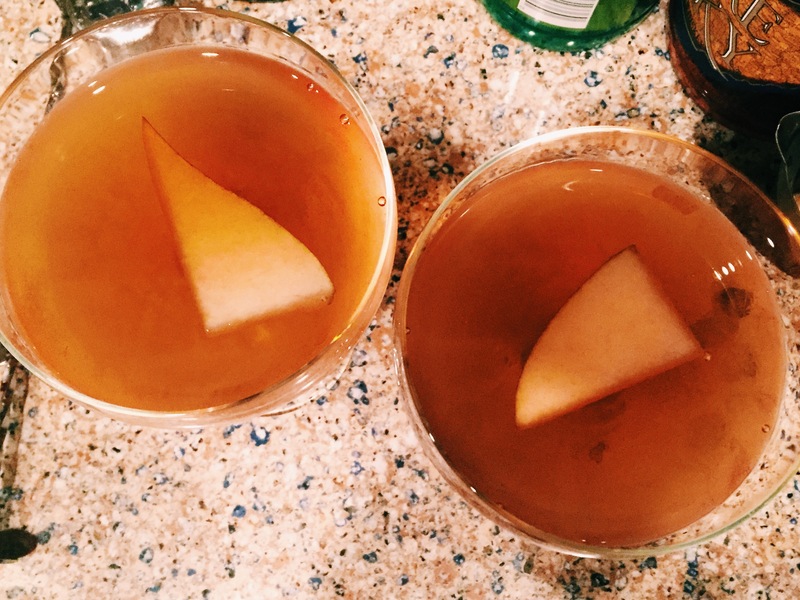 We worked with her to design a cocktail menu to match her tastes, the season, and the wide spectrum of drinking tastes and tolerances among her guests (the spectrum ran from serious bourbon drinkers to breastfeeding moms). 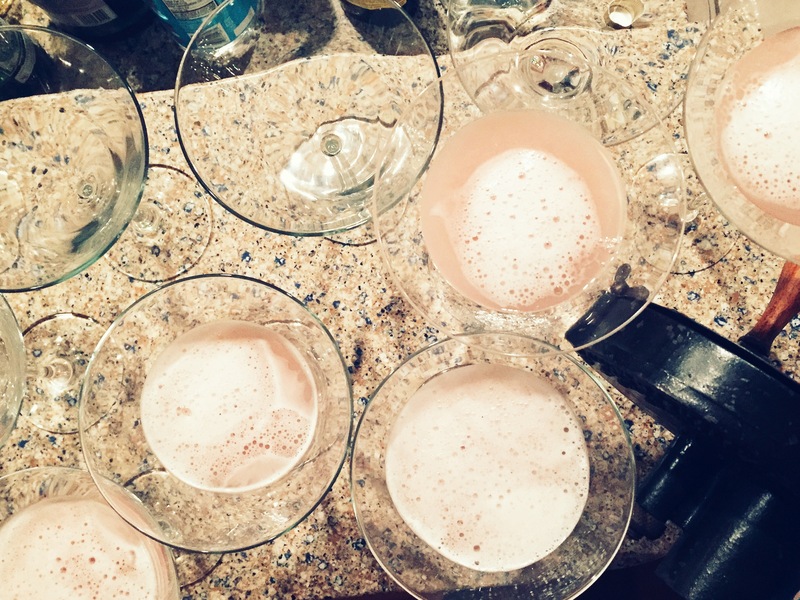 Since it was a winter party, we used four of our 12 drinks of Christmas (one created for the event). 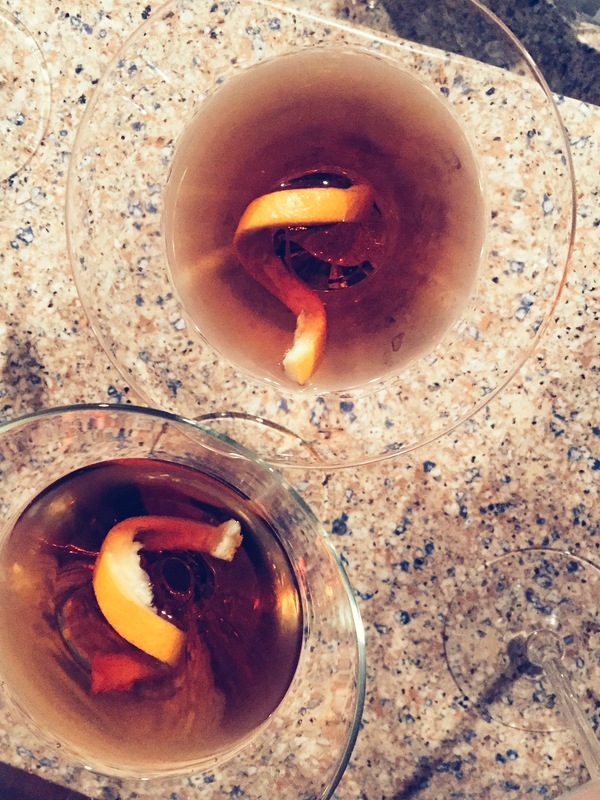 We learned over the evening that we should place the drinks on the bar in ideal order of consumption, for the completists among the partygoers; and we offered low alcohol versions of two of the drinks over the course of the night, to help people drink the cycle while staying under their limit. 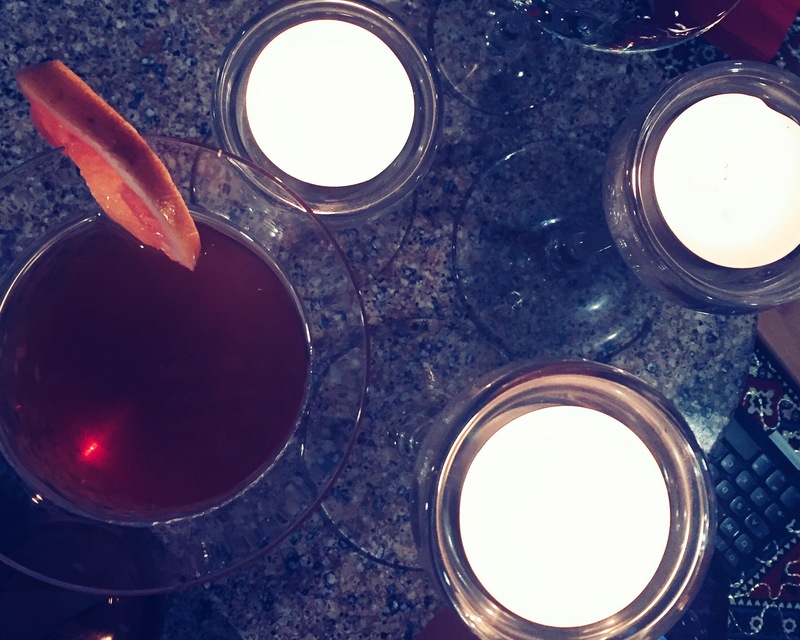 Cat’s Collar: This was the signature drink of the night that we made for the birthday girl herself. 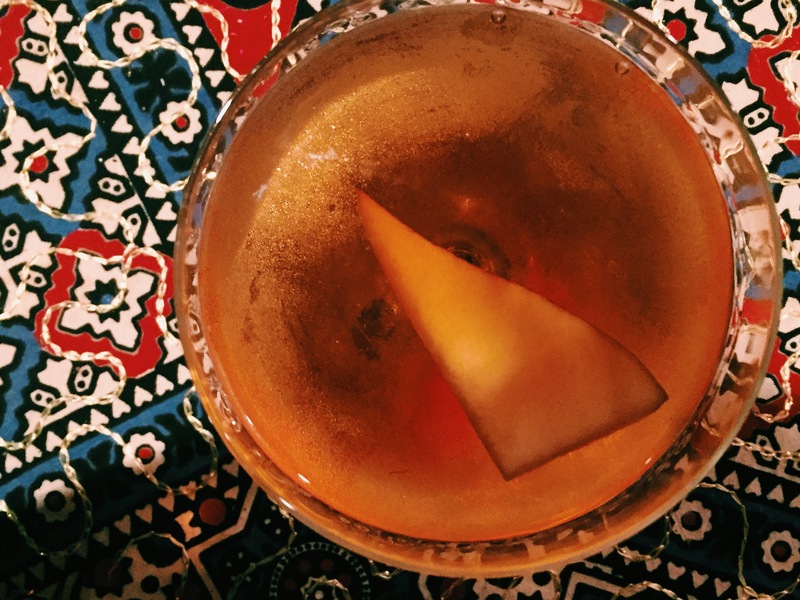 Negroni Contadino: This was the perfect middle ground, equally loved by the serious and not-so-serious drinkers. 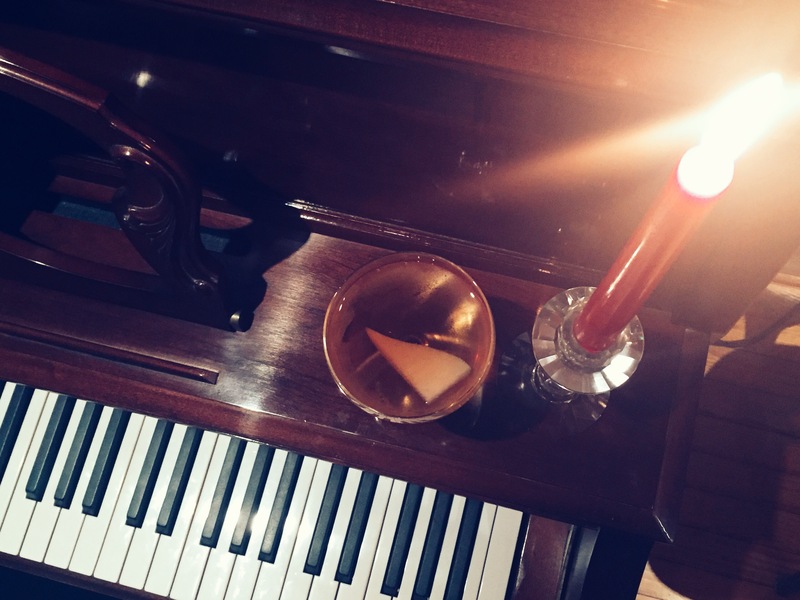 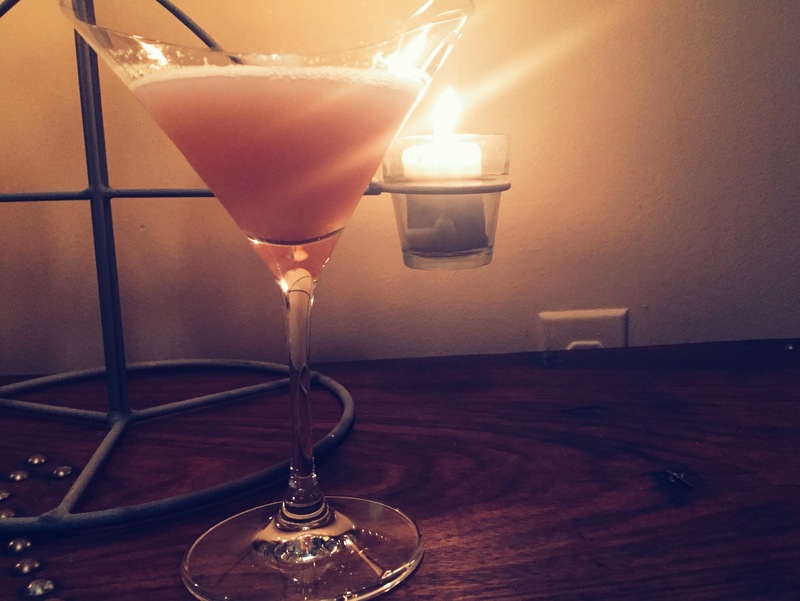 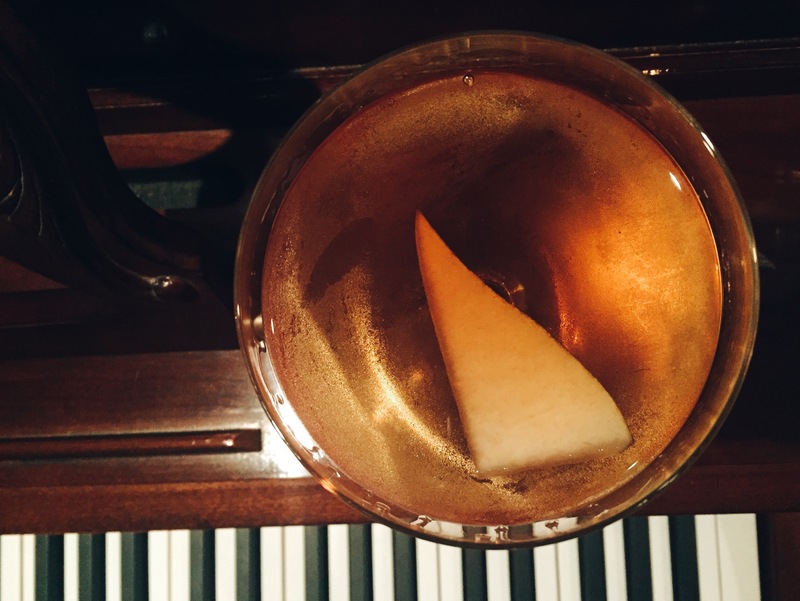 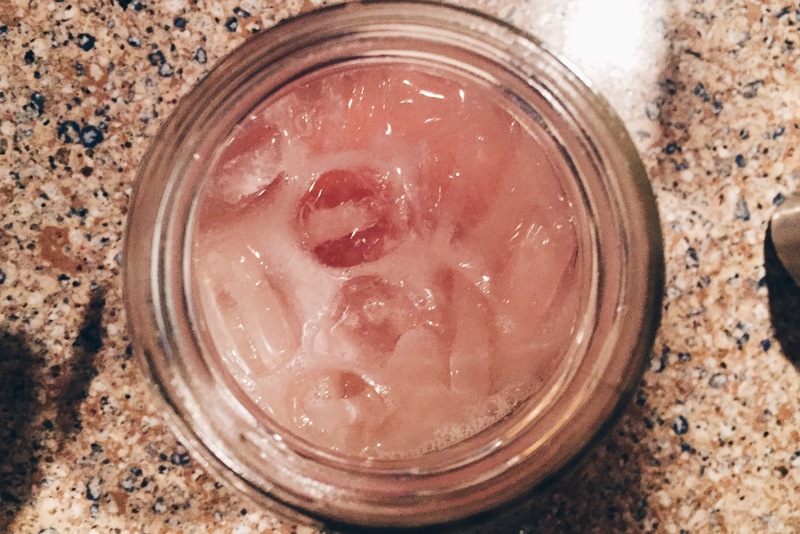 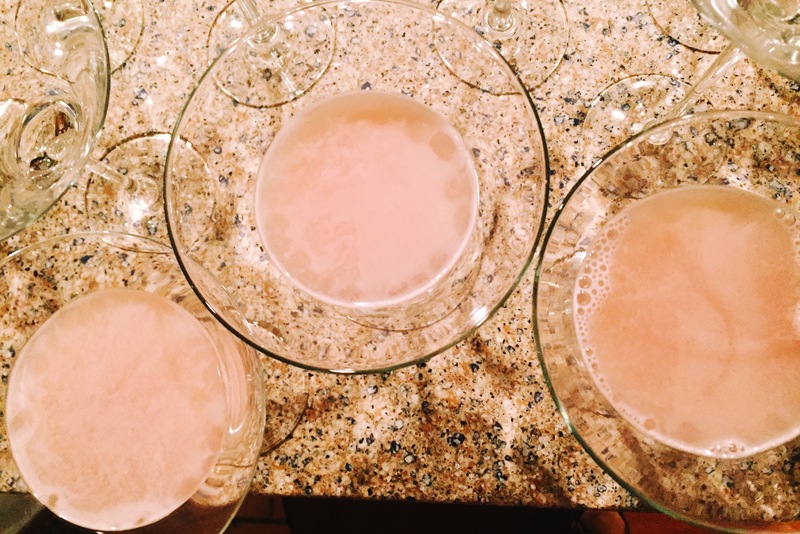 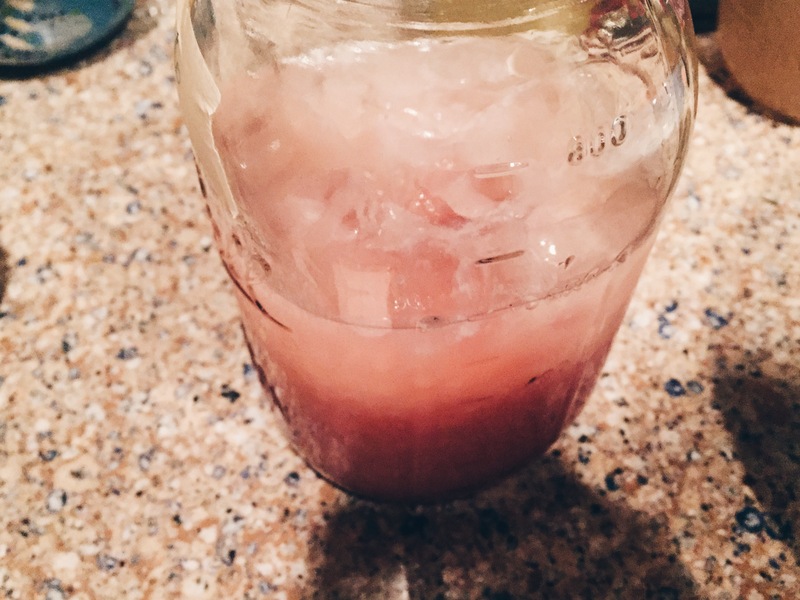 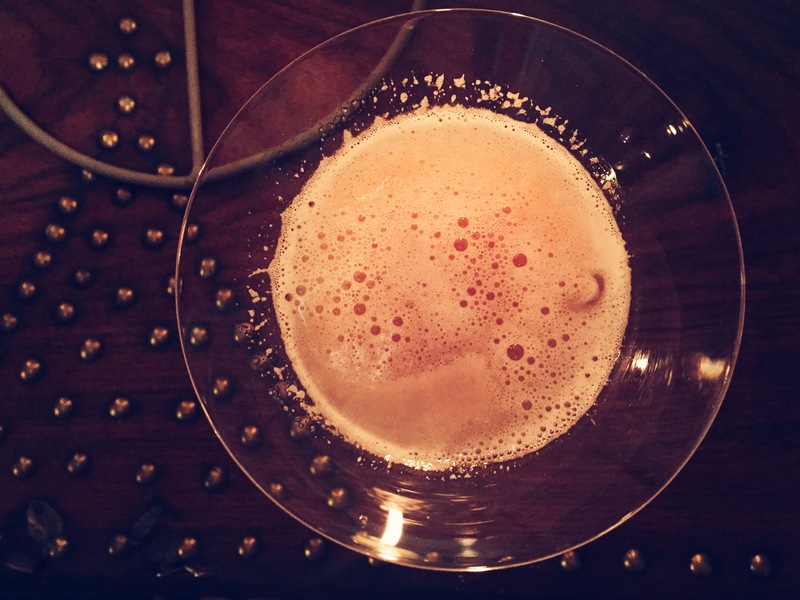 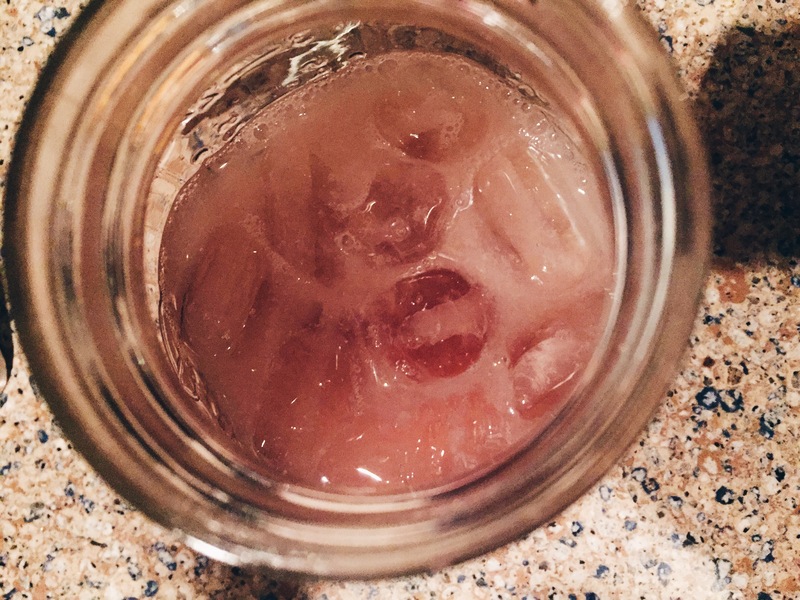 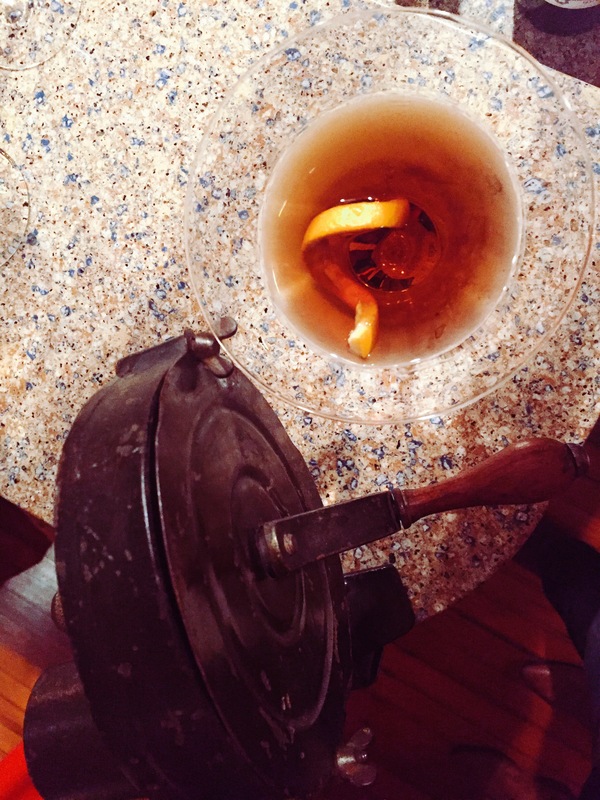 The Pinkston: This was a signature drink for another event, but it was just too good not to use again. 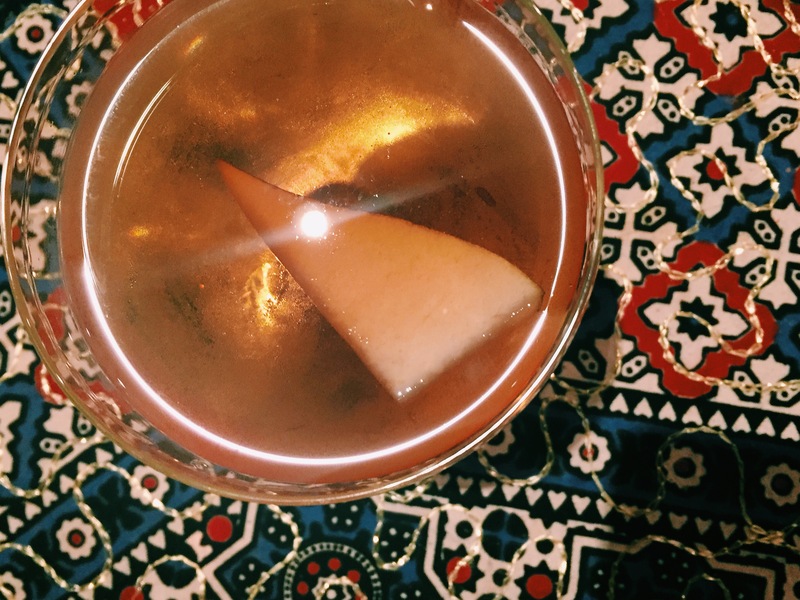 Bonal Martini: We served this both with standard proportions (2 gin to 1/2 bonal) and reversed (2 bonal to 1/2 gin) to cater to guests’ desired strength. 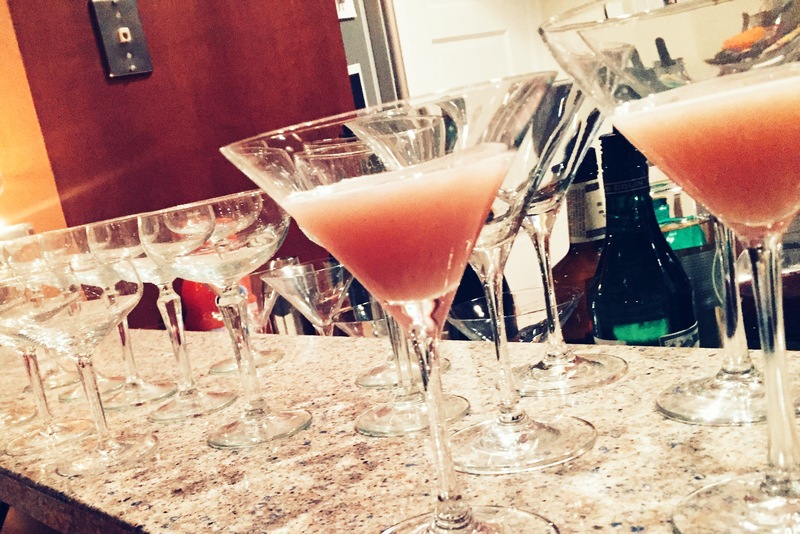 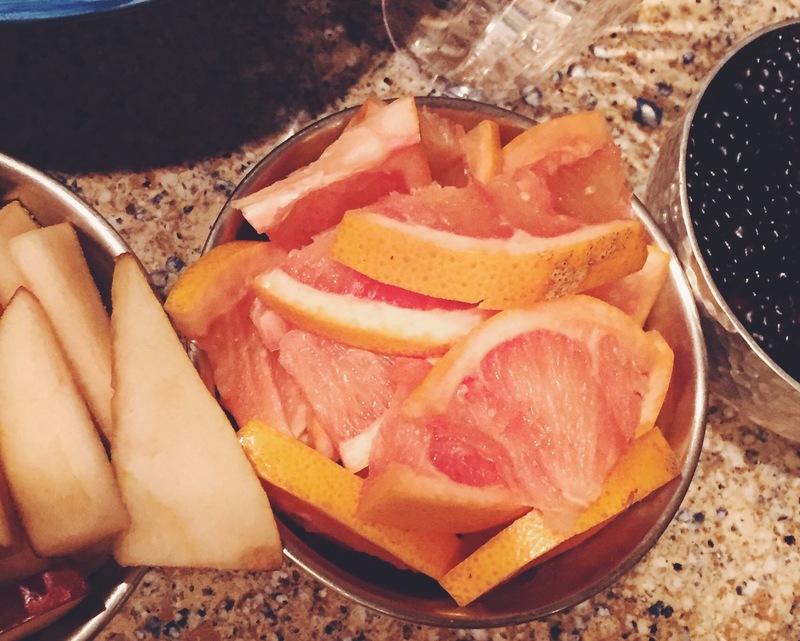 The Amy D Mocktail: Almost everyone wanted a mocktail at some point during the night.